Zedd teamed up with Riot Games to deliver the new theme song for this year’s League of Legends World Championship. 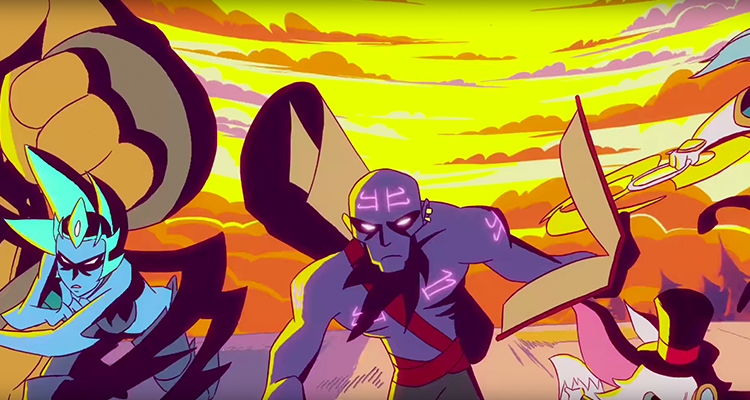 As host of the worldwide e-sports event, Riot Games sought to produce a music video celebrating the last 5 years of the tournament’s history in psychedelic-gamer fashion. The track is rife with Zedd’s signature beats and drops and features vocals from Tim James. The League of Legends World Championship is one of the largest e-sports events held annually worldwide. The online multiplayer game is played both casually and professionally with the latter garnering viewership in the tens of millions. Last year, the finals were held at the Mercedes-Benz Arena in Berlin, Germany where 16 teams from around the world competed for a prize pool of over $2 million dollars. In the end, South Korea’s SK Telecom T1 team took home the first place prize of $1 million. Zedd is set to appear at the 2016 League of Legends World Championships beginning September 29 at the Staples Center in Los Angeles. Taking place throughout October, the DJ/producer will be lending his own talents to the event, performing sets throughout the tournament. Additionally, you can stream the whole thing on Twitch, YouTube, and Azubu in multiple languages. Go to the official website for further information and be sure to check out “Ignite” — a collaboration between Zedd and Riot Games above.